From The Salt Lake Tribune’s Glen Warchol comes news of conflict between local entrepreneurs Epic Brewing and the DIA Art Foundation of New York. 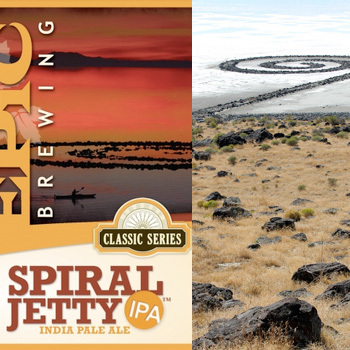 At issue is the brewery’s decision to name a beer after the Spiral Jetty and use a photo of the little-known artifact on the bottle. It’s really sad when a small business and an organization that promotes obscure and beleaguered artists and their works take each other to court. On the one hand, there is no question but that artworks and their makers are subject to wide abuse of this sort. Epic was wrong to help themselves to Robert Smithson’s work without compensation to, or at least checking with, its present owners. But on the other hand, it’s a bit disingenuous of DIA to represent themselves to Mr. Warchol, as they apparently did, as “a foundation that preserves the legacy of artist Robert Smithson.” DIA has owned the Jetty for most of its existence, including the thirty years that it languished under a few inches of salt water, visible from the air but not from the shore, and it is to global warming, not DIA, that we owe its recovery. More to the point, almost no one knows about Smithson or his work. Is the bruising to DIA’s sense of corporate proprietorship really more important here than the likely promotion of recognition of an artist and his work beyond the tiny, minority community of Earth Art fans? How about this? Has DIA ever heard of Appropriation? The hottest ticket among New York’s mainstream artists a few years ago was the outright theft of artistic form by other artists. Maybe Epic should declare their bottle a signed work of Appropriation Art. Or can DIA have its cake and wash it down with Epic’s beer? 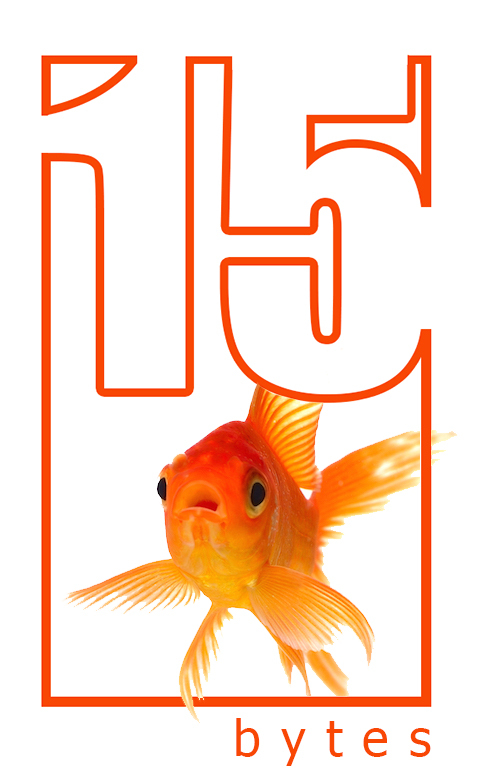 The power of art, via numbers, debunking the statement that the Spiral Jetty is an artifact. As Gertrude Stein almost said, an artifact is an artifact is an artifact. But the numbers Hikmet Loe refers to argue I was wrong to call Spiral Jetty “little known.” I wish it were so. Just to set the record straight on something that is not a question of perspective, but of fact: the Dia Foundation has not owned Spiral Jetty for most of its existence. They acquired it in 1999. Jill Dawsey is correct and I was wrong. Dia did not own Spiral Jetty when it was under water; it was given to them just before it became accessible again, during the magical years when it was, briefly, once again a path over water. Sometimes defending a legacy is hard to distinguish from protecting ones property. That, by the way, was what prompted James Whistler, the one American artist everyone can name, and the only one to have a painting in the Louvre (his mother’s portrait), to sue British critic John Ruskin for damage to his reputation (the offensive line was “flinging a pot of paint in the public’s face”). Whistler won a farthing, which put an official value to what some people think modern art is worth. Does Smithson really need a day in court? As for his influence, that’s best left for future measure. Whistler was the hero of countless artists, but according to Peter Schjeldahl in last weeks New Yorker, none of them matter to us today. yes, i can see the point of view from both sides, of the above conversation. By gaining permission to photograph the spiral and using it on the beer label, the spiral then would reach a wider audience,but the preservation and protection of the art and the environment is absolutely crucial… it could be a win win situation if dealt with the upmost respect, sensitivity and intelligence… ps geoff, good not to launch into generalizing..